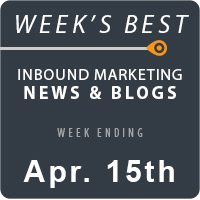 In this week’s roundup, we’re demystifying some of the confusion surrounding the Panda and Penguin updates with some up-to-date facts about what constitutes white hat, black hat and grey hat SEO, why the next silver SEO bullet will surely fail you, why it’s important to pamper your SEO and more. Mixed among those informational gems is more evidence that your inbound marketing efforts are tied together with an unbreakable bond. Social media and SEO, local and mobile, you just can’t have one without the other. At least not if you want to get the most out of it. 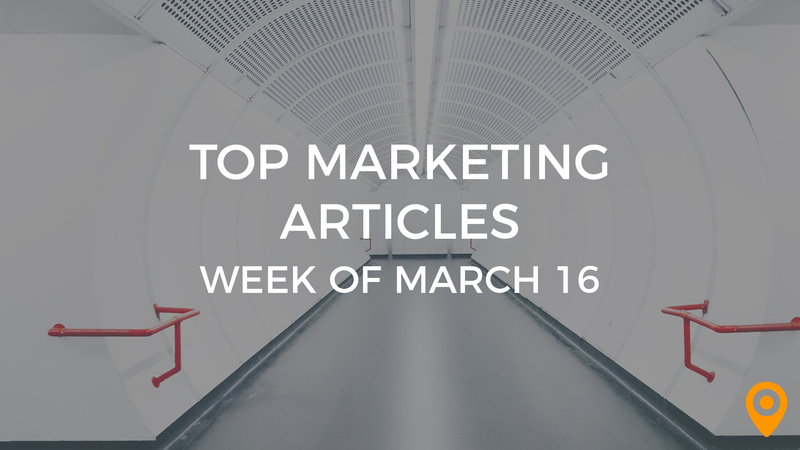 So whether you’re trying to figure out if you need more traffic, or your conversion rates just stink, whether the latest SEO trick you discovered is black hat or white hat, or you just want some pure marketing-geek entertainment, we’ve got it for you in this week’s Top 25. Negative SEO is extremely rare, according to Matt Cutts, but possible. In fact, he’s been saying that since 2007. Search Engine Roundtable comments on negative SEO and some outdated information posted recently by another publisher. Reliable Soft offers a checklist including five on-page SEO techniques you can use to boost rankings. Every time Google unleashes an algorithm update, the topic of black, white and grey-hat SEO goes abuzz. What constitutes black-hat SEO, and does it now include some things formerly considered white-hat? Typically, most grey-hat techniques will gradually move over into the black-hat category as algorithm changes progress. ETech Diary has a great primer on what black, white and grey-hat SEO techniques are in the current environment. We won’t promise that it won’t change next week. Are you one of those digital marketers who constantly pampers your SEO? Yep, we’re guilty. Aditi takes a look at why we tend to be so SEO-obsessed—and why you should be. Sage Island takes a brief, but informative look at social media’s impact on SEO. The Bird Feeder reveals some pertinent questions to ask yourself when formulating your social media strategy. Should you Tweet that? Share that status update? Re-Pin? So many questions, so little answers. David Boozer takes a look at social sharing for network marketers, offering up a robust set of tips and strategies for getting the most out of your social media marketing efforts. Top secret: Four of the most effective local SEO strategies. Want them? Check out The Grizas Online for the reveal. Is it possible to crush your local SEO competitors while sticking with white-hat tactics? Studio 1909 shares an interesting case study regarding the use of white, black and grey-hat techniques to enhance local SEO. Riches Corner has some insights on local SEO and its joined-at-the-hip collaborator, mobile. Mass Transmit shares eight email marketing mistakes that could be costing you business. One of our favorite bloggers, John Chow, reveals top 10 things to know about email marketing. Print this list. And hang it in your cubicle, or whatever cubicle-like enclosure or space you utilize on a daily basis. Did you know that one minute of video is worth 1.8 million words? DMNews shares this and other compelling reasons why you should minimize the copy and start using videos in your email marketing campaigns. Instant.ly shares an interesting case study about Dave the Shoe Guy’s foray into mobile marketing–and his impressive success. Andrew Lechlak weighs in with some tips of his own for getting the most out of SEO for mobile. CMS Engage has an impressive roundup of some top-notch mobile landing page templates. If you’ve been struggling to optimize your landing pages for mobile, these templates will make your day—or your year. Should SEOs become content marketers? Branded3 poses the question, and the answer. What’s content marketing really about? Informing and delighting, right? What about interrupting and annoying? This…and more with 20 Madlibs from Toby Murdock, courtesy of Funnelholic. Emily Suess shares her secret recipe for getting your readers to devour your content. Is your problem traffic…or conversions? Traffic Motion points out why traffic is less of a concern than conversions. Want to grow your conversion rates? Divide and Rule, says Kuliza. Craig Pearce shares 13 issues management early warning tools to help you protect your delicate online reputation and stop a crisis before it becomes major. Matos Marketing shares how to use social media for reputation management, and why it’s different than your typical social media strategy. In the aftermath of Penguin 2.0, everyone’s scurrying to get rid of those old, bad links. Andrew Shotland has some tips on link removal request etiquette. The Online Marketing Institute (OMI) has tips on using social media and link building to boost SEO. Do you have the silver bullet for SEO? Find out why it will fail in this post at Search Engine Watch. A recent article at Social Media Today offers tips for increasing social lead generation using LinkedIn.